You'll discover tucked-away gems like Mirador del Valle and Puerta de Bisagra. Explore the numerous day-trip ideas around Madrid: Toledo (Monastery of San Juan de los Reyes, San Martin Bridge, & more) and Royal Palace of Aranjuez (in Aranjuez). And it doesn't end there: see the interesting displays at Prado National Museum, explore the world behind art at Museo Nacional Centro de Arte Reina Sofia, admire the striking features of Plaza Mayor, and hunt for treasures at Mercado San Miguel. To see photos, more things to do, where to stay, and more tourist information, you can read our Madrid attractions tool . If you are flying in from Australia, the closest major airport is Adolfo Suárez Madrid–Barajas Airport. April in Madrid sees daily highs of 22°C and lows of 9°C at night. Wrap up your sightseeing on the 7th (Sun) early enough to drive to San Lorenzo de El Escorial. San Lorenzo de El Escorial, also known as El Escorial de Arriba is a town and municipality in the Community of Madrid, Spain, located to the northwest of the region in the southeastern side of the Sierra de Guadarrama, at the foot of Mount Abantos and Las Machotas, 29mi from Madrid. 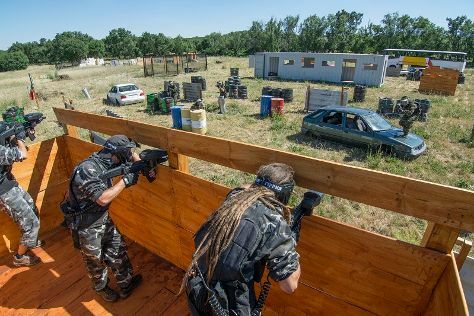 On the 7th (Sun), appreciate the history behind Valley of the Fallen, get your game on at Gran Paintball Madrid, then admire the striking features of Real Monasterio de San Lorenzo de El Escorial, and finally take in nature's colorful creations at Casita del Príncipe. For where to stay, ratings, traveler tips, and tourist information, read San Lorenzo de El Escorial journey builder . You can drive from Madrid to San Lorenzo de El Escorial in an hour. Other options are to take a train; or take a bus. Finish your sightseeing early on the 7th (Sun) to allow enough time to drive back home.